Chemical free and seriously clean! 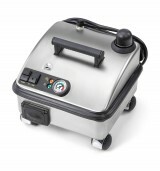 Every Vapor Clean steam cleaner is built for the home user! Depending on the type of surfaces in your home you will find a steamer that is just right for your cleaning needs. Choose a model by using the comparison below or browse the catalog to become familiar with all that the Vapor Clean line of home steam cleaners has to offer. Home users with smallš medium or large homes can find the right cleaner in our line. Choices range from compact for apartment dwellers to full-size (and full-featured) for single-family homes and larger. Hard surface or carpet, we have a model for you. 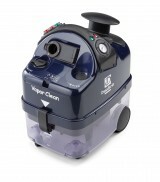 The Vapor Clean line of business-class steam cleaners is a reflection of superior cleaning power bar none. To ensure that power is available day in and day out, this collection features hearty construction and features designed to serve a complete range of professional needs. Look no further than the professional-minded Vapor Clean series of steam machines. Browse our business line of products at our page. Who Benefits: Since the machines in the business series are built to endure tough daily use, anyone who needs a machine to perform for years to come should consider one of these cleaners. These machines are designed for heavy-duty usage and are ideal for professional home or office cleaning, professional bug/pest control, professional auto detailing, medical sanitization, museums, libraries, food service and hospitality environments, schools, daycares and so much more! What about extraction and injection? The average steam cleaner is designed mostly for hard surface cleaning. While an average steam cleaner can steam your carpet, mattresses and upholstery, it can only sanitize and remove surface dirt. But when you add a powerful multi-stage vacuum and super heated injection, you get a steam cleaner with the ability to deep clean your carpet and upholstery better than any professional! Stop paying companies to leave chemicals in your carpet and start cleaning with steam today!